Full Size: 4.50" x 4"
Kleenex Cottonelle Bathroom Tissue is soft and plush with quality that you would expect at home. Safe for sewer and septic systems. Made with virgin wood fibers. 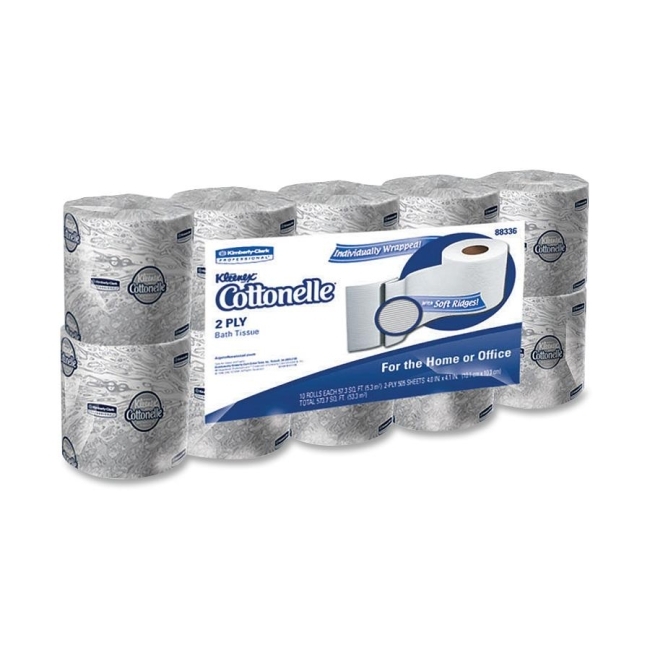 Two-ply tissue comes in an easy-to-handle package design with zip-off top and space-saving packaging.